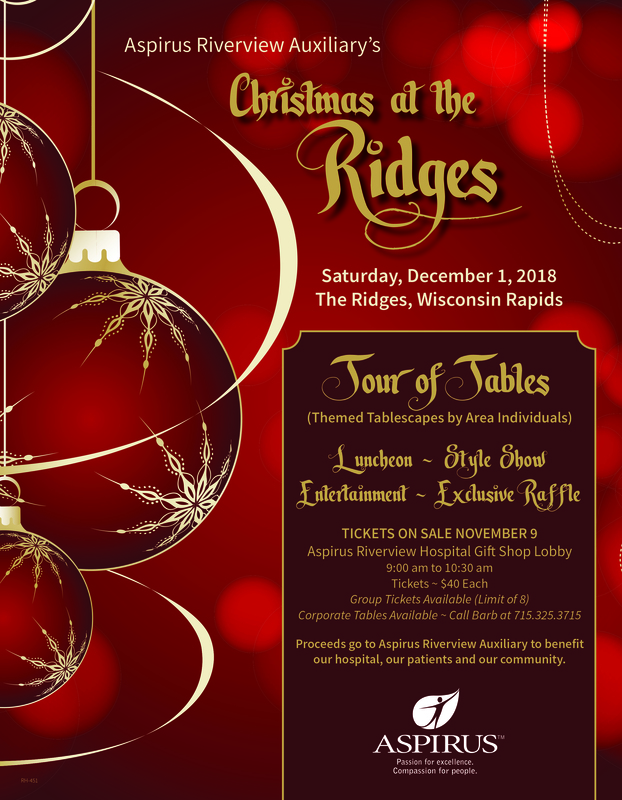 Aspirus Riverview Auxiliary invites everyone to “Christmas at The Ridges” on Saturday, December 1, at The Ridges in Wisconsin Rapids. The event includes a luncheon, style show, entertainment, and an exclusive raffle. It also features the very popular Tour of Tables – dozens of uniquely themed tablescapes designed by area individuals. Tickets for “Christmas at The Ridges” will be sold at the Aspirus Riverview Hospital Gift Shop Lobby on Friday, November 9, from 9 to 10:30 am (or until sold out). Tickets are $40 each, and group tickets (limit of eight) may be purchased. Corporate tables are also available. To purchase a corporate table, please call Barb at 715-325-3715. 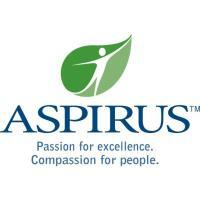 Proceeds from “Christmas at The Ridges” helps support the many projects of Aspirus Riverview Auxiliary, which benefit Aspirus Riverview Hospital’s patients and our community.